Paul Weller Announces More 2014 Summer Concerts! – Paul Weller News! 4 Comments on Paul Weller Announces More 2014 Summer Concerts! Weller has just confirmed three more huge shows for Summer 2014. Paul plays Warwick Castle, Cardiff Castle and Audley End Concerts this July – and the fan pre-sale is open now. Buy tickets from the links below. Tickets for the dates go on general sale this Friday morning. Stay tuned for links. 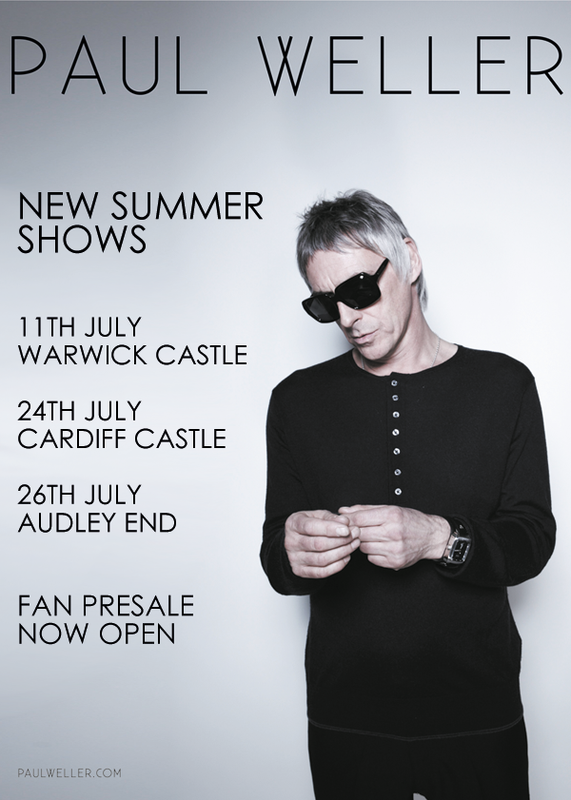 Previous Entry New Summer Paul Weller Tour Dates Announced For Forest Live Series! Next Entry Paul Weller’s New Fashion Line! "Real Stars Are Rare"